Taking care of business | Motor and Fleet Insurance | CC&A Insurance Brokers (PTY) Ltd. The Rand/Dollar Debate – Are Your Imported Assets Covered? The biggest issue with life-altering incidents, is that they don’t always happen to other people. We know that “life” happens, and yet we are always taken aback when we suffer a loss – especially in business. Companies running a vehicle fleet – be it for logistics, a sales team or for technical and customer support – are acutely aware of the issues facing business today. Especially here in South Africa. While we never want to be a harbinger of doom, the statistics on road accidents involving trucks are truly frightening. 2011 reported over 7000 road accidents involving trucks across South Africa – many of them fatal. Looking at the statistics for 2013/2014, Road Freight Association (RFA) technical and operations manager Gavin Kelly reported that there have been roughly 1 200 truck hijackings. He also indicated that the road freight industry will lose around R1.2-billion this year. Outside of road accidents, many businesses have suffered in other ways. Recent news events have shown looting of goods from heavy vehicles which have broken down or overturned. The SAPS reported 11 221 carjacking over this same time period, with 56 870 cases of motor vehicle and motorcycle theft. 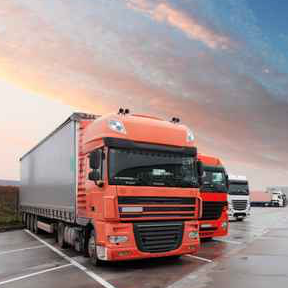 More and more, businesses operating vehicle fleets are waking up to the importance of adequate insurance. As you may well know, you’re not only insuring your vehicles – but the goods in transit, third party losses, loss of use – and many other critical factors. We would love to assist you with a tailored quote for motor or fleet insurance for your business. Our insurance team are sensitive to the needs of the South African business market, and we know how to keep you safe.